EuropeCoin´s community has gotten a lot of growth. Especially crypto newcommers have come to it. 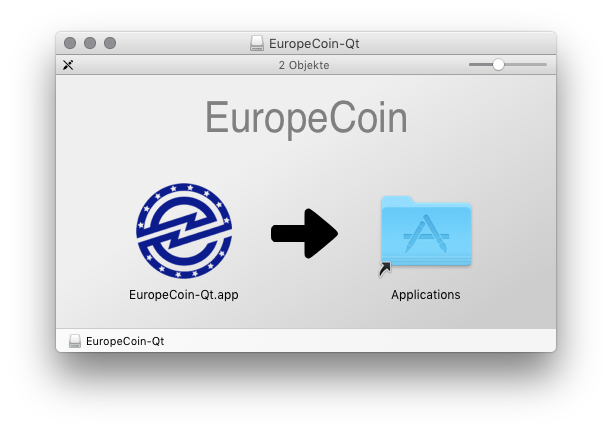 The following steps will show how to setup and secure your own EuropeCoin wallet on MacOS. On Windows it works very similar. Thank you to Rene for writing this guide. 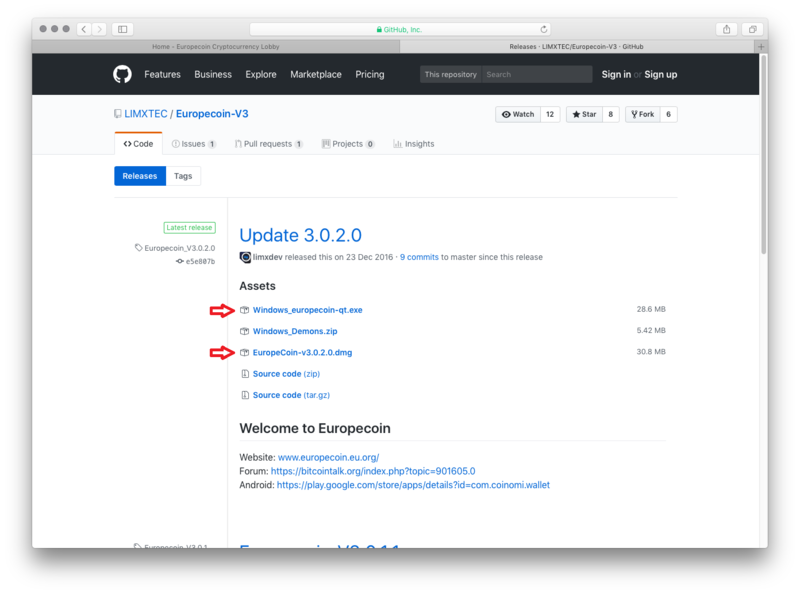 go to https://github.com/LIMXTEC/Europecoin-V3/releases and download *.exe for Windows or *.dmg for Macintosh. go to the download folder and doubble click the EuropeCoin file then just drag the blue EuropeCoin icon to the applications shortcut. When you start EuropeCoin the first time propably a security report will appear. Click "OK" or "open anyway". Newer MacOS versions have the "open anyway" button in the security settings. 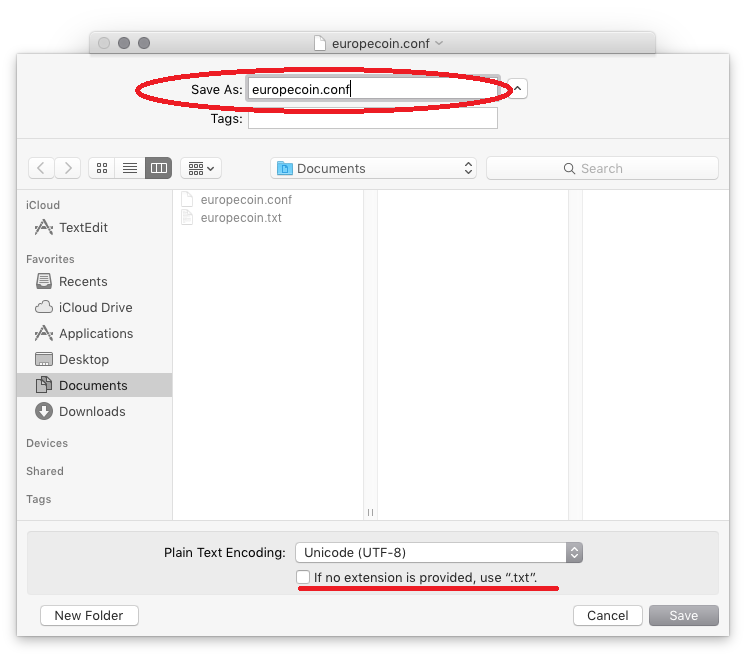 Paste the nodes into a text file and click on "Format" and "Make Plain Text" then save it as "europecoin.conf" Hold down the "ALT key" to get "Save As" option. Note that the "txt" extention is disabled. Save the file under ~/Libary/Application Support/EuropeCoin. You can reach the Libary folder by holding the "Alt key" while clicking on "Go" in the menu bar. To secure your wallet go to "Settings" and click on "Encrypt Wallet" and enter a new passphrase. Make sure to keep a copy of the passphrase on a safe place to recover your coins. 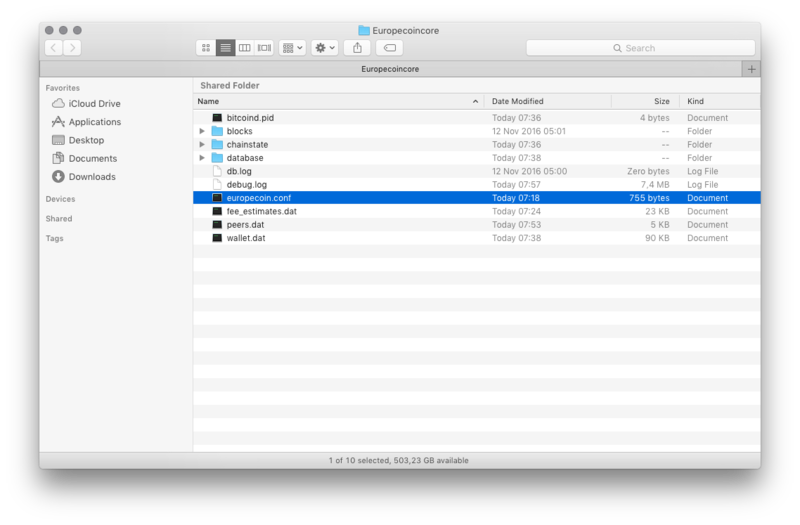 Next go to "File" and click on "Backup Wallet" I recommend to keep this file on at least two different places. Note, if you lose your Passphrase and or the wallet file your coins cannot be recovered !! !